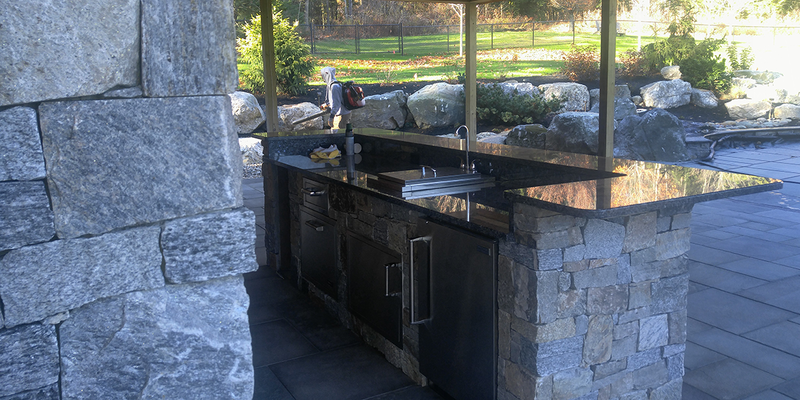 We design outdoor kitchens, patios, pools and more, so you enjoy better outdoor living. Your one-stop, full-service, landscape design & construction company. We manage your project from design to finished construction and bring our unmatched level of experience and quality to bear on every landscape project. It's how we create outdoor spaces for you that are beautiful, functional, and enduring. We work on projects of various sizes to meet your needs. We are known for our ability and experience in delivering large scale residential landscaping projects, but also take on smaller projects that include single elements like walkways, patios, retaining walls, and planting plans. Our services can easily scale up or down to meet the needs of your home, project size, and budget. Our preconstruction services including landscape design and consultation ensure we understand your needs and aesthetic preferences to maximize your budget. We build landscapes with a level of craftsmanship earned over decades of building high-end residential projects. When it comes to landscape construction we've seen and built it all. That's right; we GUARANTEE you'll love your landscape. It's a statement we can make with confidence because our proven process will give you the landscape you've been dreaming of. A breath of fresh air awaits you. Our landscape designs bring the feel of being on vacation right to your backyard. You get outdoors more to breathe the fresh air, de-stress by connecting with the landscape, and enjoy outdoor spaces with friends and family. "CR Hardscapes was highly recommended and our working relationship was excellent. The project was completed on time and within budget. Give them a call. They provide quality work and are very easy to work with." The use of stone is part of the identity of the New Hampshire landscape. If you desire stone patios around your pool or home, a stone fire pit, or rustic walkways or walls, we will deliver these elements for your project with unmatched craftsmanship. "We knew nothing about outdoor kitchens or the design/construction process when we started but we knew we wanted an oasis. Curtis from CR Hardscapes has an unbelievable vision and helped guide us through the entire process. We were so relieved to have Curtis working on our project. He took the stress right out of it. There is no reason to hire anyone else." CR Hardscapes has earned an A+ rating from the Better Business Bureau. Our mission is to give you a landscape that you love and one that we are proud to put our name on. We don’t try to make our living by building as many landscape projects as possible, we insist on making the best landscape projects possible while giving you an exceptional experience along the way. We work hard, so you can rest easy.